Submitted Photo Pictured left to right are: 1st Vice Commander, Doug McPherson, Pat Mleczko, Clinic director of the Dunkirk VA Community Based Outpatient Clinic and Commander Rodney Dziduch. 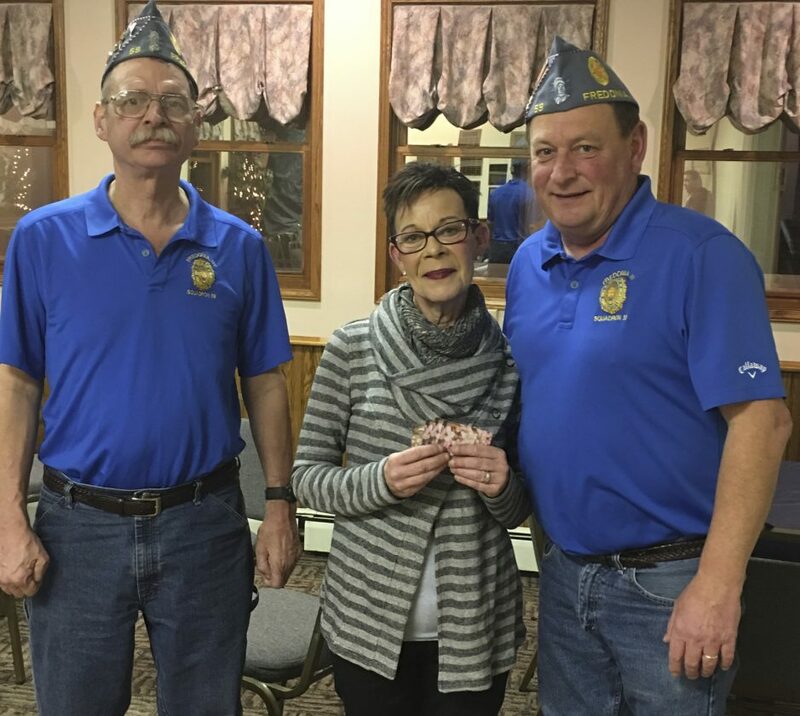 The Son’s of American Legion Squad 59 hosted Pat Mleczko, Clinic director of the Dunkirk VA Community Based Outpatient Clinic at their January monthly meeting to present her on behalf of the VA with 4 $25 Walmart gift cards. The gift cards are meant to be used for female veterans in Chautauqua County who are currently underserved and in need of female specific items. SAL Post 59 also informed her that they will be doing this again on a quarterly basis in the future.